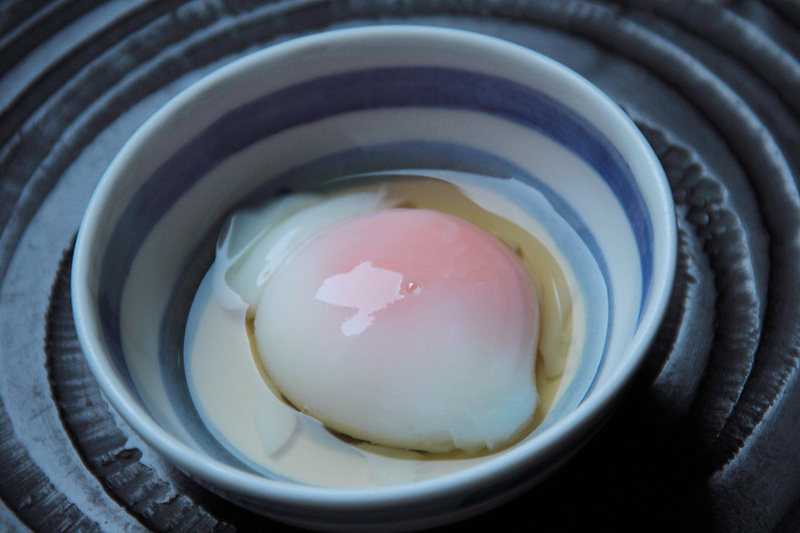 "Gensen Tamago" is our hotel specialty that we serve as a breakfast dish. 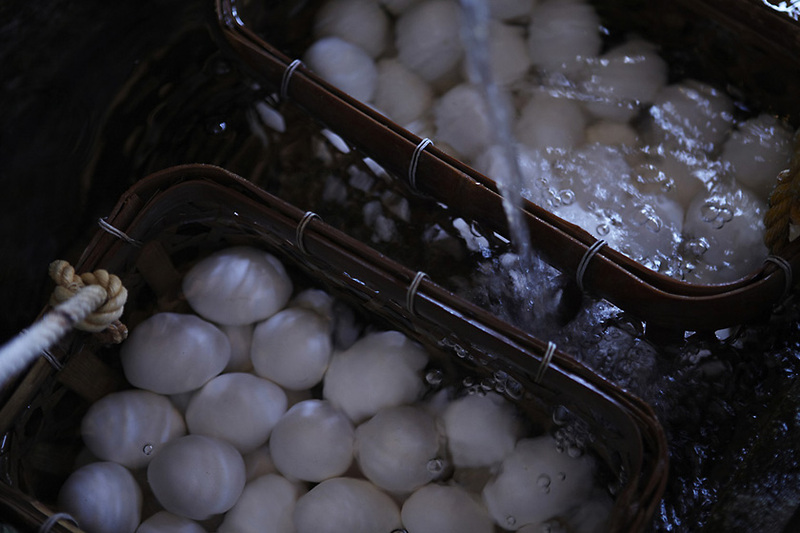 Slowly steeped for a few hours in the source of the sulfate spring at a temperature of 66 degrees Celsius, the eggs delight the palate with a distinctive sulfur flavor, complimented by a soft yolk and egg whites tempered to the perfect hardness. These eggs can also be purchased at the select shop "GENSEN", located next to the main entrance. The shop sells a selection of other high quality merchandise, such as Kutani ware, Yamanaka lacquer ware, Kaga Bocha (green tea), and special snacks unique to Kaga.